You always hear about protein but what’s the big deal? 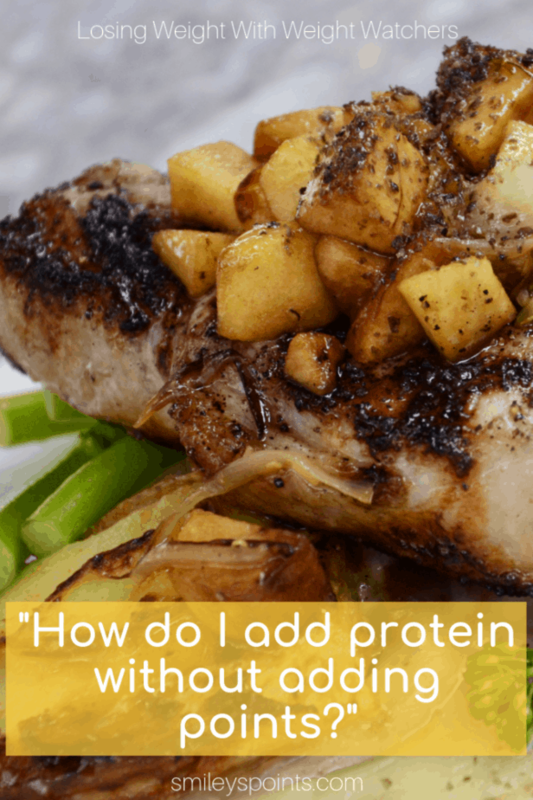 How can I add more protein to my diet? Why is everyone on this protein kick anyway? How much should I eat? When should I eat it? There are several different ways to add protein to your diet but make sure you are eating healthy sources of protein. Plant based proteins seem to be the best way to supplement your diet with the needed proteins. Why protein? Well protein helps our muscles to recover faster, which helps us feel better daily! This keeps us going to the gym and losing the weight so that we can reach our goals. Check the zero point list for the new Freestyle program with Weight Watchers and you will see lots of protein sources. Utilize this list of zero point foods to add protein to your daily diet without adding points. Use those items as the main portion, and add in zero point vegetables to make it a full meal! Try this spicy zero point chili for a high protein, zero point dinner that everyone will LOVE. Protein is an important component of every cell in the body. Hair and nails are mostly made of protein. Your body uses protein to build and repair tissues. You also use protein to make enzymes, hormones, and other body chemicals. Protein is an important building block of bones, muscles, cartilage, skin, and blood as well. All of this information is well and good, but how is it going to help me lose weight? Great question! The reasons have to do with how high-protein/low-carb diets are thought to lead to faster, more consistent weight loss. When people eat lots of protein and few carbohydrates, their metabolism changes into a state called ketosis. Ketosis means the body converts from burning carbs for fuel to burning its own fat. This sounds like what you would would want and for short term weight loss it is. But this isn’t necessarily a sustainable diet and the hazards from being in a ketonic state far outweigh the benefits. That’s why we stick with Weight Watchers while watching our carb intake. Weight Watcher is sustainable – for life – and easy to follow day to day by counting points. You can follow Weight Watchers and Keto at the same time for amazing benefits. We’ve all heard the myth that extra protein builds more muscle. In fact, the only way to build muscle is through exercise. According to experts we need between 46 and 75 grams of protein a day for women and 56 to 91 grams for men, depending on how active we are as well as our age. So watch your carb intake and use protein bars or powder to supplement your diet to make sure you are getting the correct daily dose of protein. Nuts are also a great source of protein and healthy fats. Don’t over do it too much, as nuts and protein bars can be high in points! 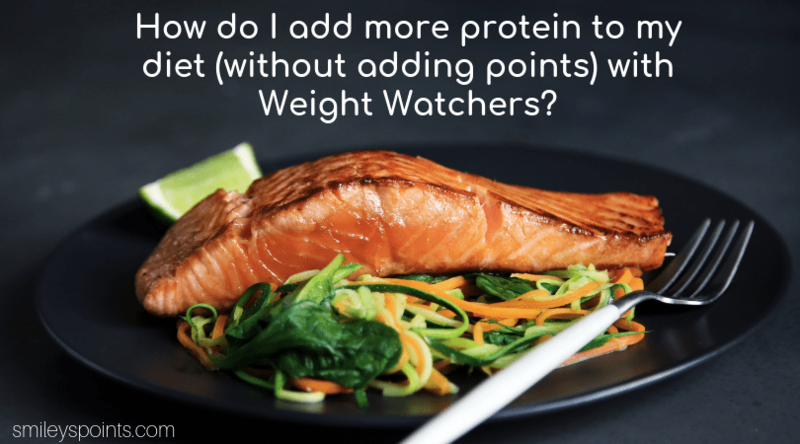 Sticking to that zero point list is going to help you get protein without adding too many points. Protein is wasted by people over eating it. Our bodies do not store protein so eating more is not going to benefit you. The general consensus seems to be that 30 minutes before and/or 30 minutes after your workout is when you should eat your protein or have a low point high protein snack if you aren’t feeling up to eating a meal. The best school of thought through my research seems to be to have protein through out your day to speed recovery of your muscles from your workout as well as being the healthiest option to keep your weight loss on track and your body feeling good. Because of how our bodies use protein, it is better to eat the bulk of our daily allowance before and after a workout but to also spread the rest through out the day so that our bodies continue to be lean fat burning machines. Protein turns you into a weight losing machine! It keeps you full for longer periods of time, without adding points to your daily intake. The zero point food list helps us stay on track with high protein options that are tasty enough for the whole family.